According to the Department of Energy and Climate, the average indoor temperatures of British houses continues to rise at an alarming rate. It is important for households to arrest this alerming trend to reduce our carbon footprint, save on energy bills and keep temperatures in the home just right. One way you can do this is to use a smarter thermostat that allows you to adjust the settings and keep your house comfortable. Here are three of the best smart, energy-saving thermostat models in UK reviews. 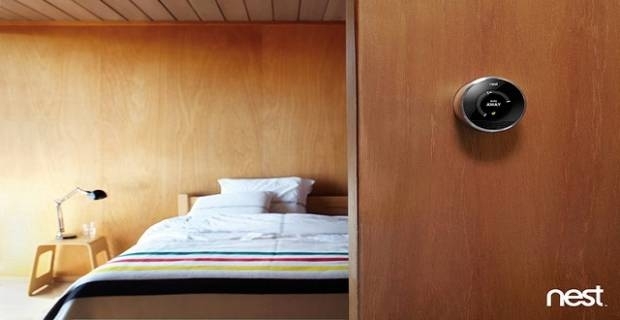 The Nest home thermostat is one of the leading smart, energy-saving thermostats in the UK today. The sleek, Wi-Fi-enabled thermostat, created by iPod godfather Tony Fadell, stands out from the rest because in about a week of use it learns your habits and then automatically creates a schedule to meet your energy needs in the most efficient way possible. You can also control the thermostat from a web browser or your smartphone when you are not at home! Some smart, energy-saving thermostat UK reviews have complained that the Nest is costly and doesn’t do too good a job at learning habits in the home, especially when you have complex schedules. However, most reviews agree the device generally does a good job of what it sets out to do. You can pause the Nest's learning mode feature any time and set schedules yourself if you prefer to work things manually. Ecobee’s smart thermostat is similar to the Nest in that you can control it from your smartphone and any web browser. It is also Wi-Fi-enabled and features an LCD touchscreen interface with impressive programming functions, an energy conservation mode and five-day weather forecasts. A notable downside is that the Ecobee smart thermostat has an intimidating installation procedure unlike the Nest, which can be installed by just about anyone. You generally have to seek the services of a professional unless you are not afraid to mess about with wiring. 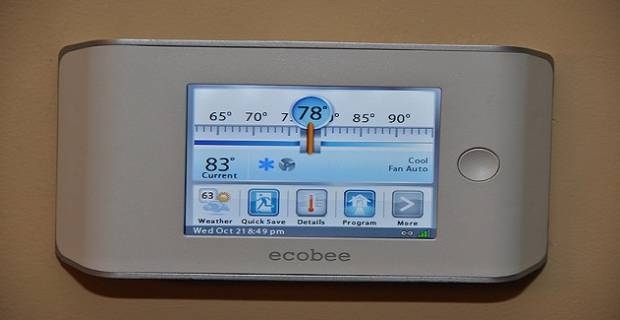 Closing our list of best smart thermostat reviews is Honeywell’s Prestige 2.0 Comfort System. The Honeywell has an "interview-based programming" system that asks you questions about your usage habits and then adjusts settings for optimum performance based on your answers. You can also monitor and control the device remotely on your smarphone, tablet or computer. Like the Ecobee Smart Thermostat, however, the Honeywell Comfort System generally requires installation by a professional.